Here’s a listening challenge that I use in my advanced workshops: See if you can listen to someone for four minutes without asking a single question. That’s right—not a single question (other than the one you might have to ask to get the conversation going—although even then, there’s a way around it). Give non-verbal cues. Things like head-nods and lean-ins can be great conversation encouragers—even when you can‘t see each other. Use audible pauses. You can say things like, “Mhmm,“ “hmmm“ or make (judicious) “grunting“ sounds. Don‘t be weird about it. Just bring forward what you naturally do when you‘re really paying attention. Say nothing. Silence is usually awkward for the listener. It can be a welcome respite for the listen-ee. Manage yourself in such a way that you don‘t give into the need most of us feel to fill every single moment of the conversation with something. Taking a few deep breaths usually helps. “I‘m not sure what to say.” If you‘re stumped and don‘t know what to say next—either because they’ve just opened up in an unexpected way, or because you can‘t figure out how not to ask a question, it‘s ok to say just that. This challenge generally assumes you’ll engage with someone with whom you can have a “meaty” conversation—i.e. a client you’re working with, or a new contact you’re interested in getting to know (and who is interested in engaging with you). Don’t try this with the grocery store clerk in the checkout line as you probably won’t get very far. Then again, maybe you will. Allow yourself to be surprised. Let’s be clear: I’m not saying you should never ask a question. I’m saying build your listening chops such that you have much more in your toolkit, and so you aren’t tempted to lead with the one listening skill (questioning) that naturally lends itself to trust-compromising things like premature problem-solving and controlling a conversation. 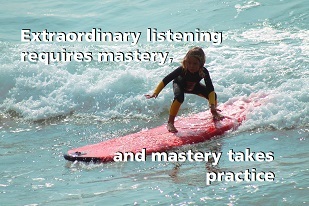 This week, try at least four of the seven mastery moves. Choose the ones that are the least practiced and/or most uncomfortable. Make it your aim to generally practice them every day, or target specific conversations. What opens up? 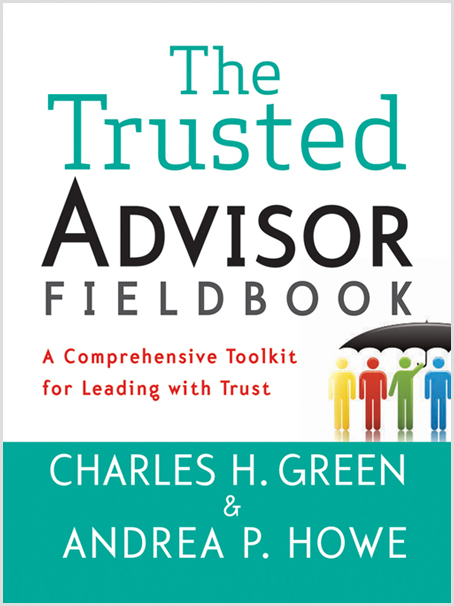 Take the empathy mastery test, or read story about listening to recover lost trust in Chapter 6 of The Trusted Advisor Fieldbook.